U.S. Secretary of State John Kerry said on July 25 details of a “U.S. 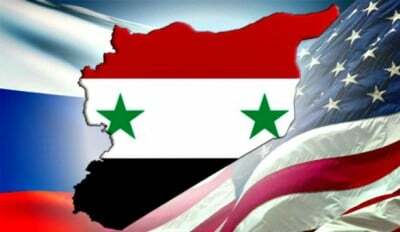 plan” for military cooperation and intelligence sharing with Russia on Syria were expected to be announced in early August. Kerry’s statement followed the meeting with Russian Foreign Minister Sergei Lavrov on the sidelines of a meeting of Southeast Asian nations in Laos. However, the ongoing progress on the ground remains questionable. Al Nusra is the most powerful “opposition group” in Syria, excluding ISIS. According to the group’s statements, Al Nusra currently stands at 60,000 fighters, although this number is impossible to verify. The group’s units are able to conduct a classic warfare with usage of artillery, battle tanks and other equipment, including drones, as well as they conduct guerrilla warfare and terror attacks of suicide bombers. According to intelligence information, Al Nusra has been receiving direct support from Turkey and Saudi Arabia and indirect support through the U.S. programs aimed to train “moderate rebels” in Syria. In other words, if Washington agrees to coordinate its efforts against the terrorist group with Russia, the US-backed Syrian opposition will lose its main striking power. Entirely by accident, the very same day with Kerry’s statement, Abu Mohammad Al Golani, leader of Al Nusra, made a public statement announcing that Jabhat Al Nusra has separated from Al Qaeda, organizationally and taken a new name, Jabhat Fateh Al Sham (Sham Liberation Front). This move signifies the start of full-scale rebranding campaign, clearly aimed to evade the effects of Russian-U.S. deal to coordinate efforts against the terrorist group. Al Nusra is aiming to depict itself as a “moderate opposition group,” adjusting to the constant pressure from Russians that had pushed Washington to accept the deal. It’s easy to expect a series of reports in the Western media that will depict Al Nusra’s rebranding as an important step on the way to better “democratic” Syria. Because, now, when the group changed its name, nobody has to doubt that it remains a terrorist organization. These reports will likely call the group “rebels” and hide the original source of “opposition fighters” from Jabhat Fateh Al Sham. Indeed, they have never avoided doing this. It’s possible to expect that Al Nusra’s rebranding will allow the U.S. to avoid any significant actions under the long-awaited deal with Russia, claiming that there is no such entity as Jabhat Al Nusra at the battlefield. Moreover, Jabhat Fateh Al Sham units will likely further shuffle with vestiges of the so-called “moderate opposition.” Strategically, it could create a foothold for the groups’ foreign sponsors to push the terrorist group as a part of the Vienna talks and post-war Syria consensus.